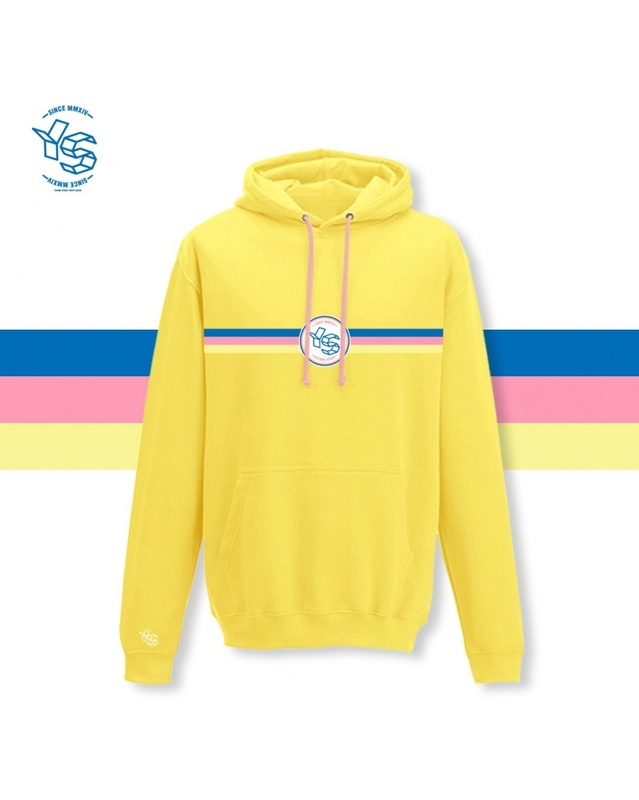 Lemon hoodie with pink strings. It has a colorful print on the front and YS logo embroidered on the sleeve. Material composition: 80% CO, 20% PL.